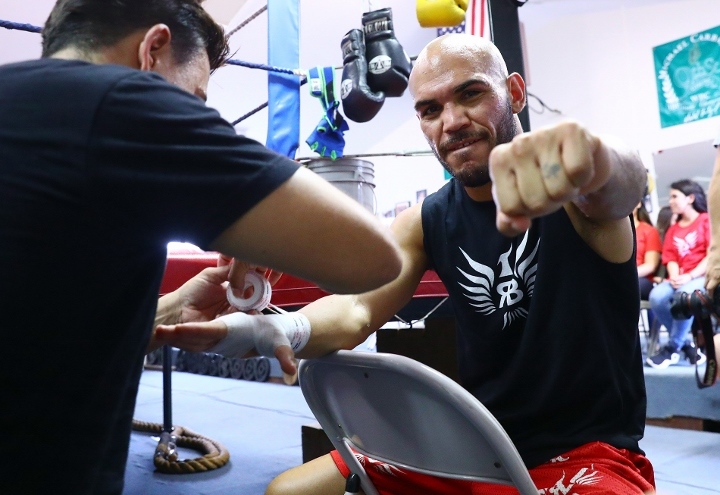 Former world champion Ray Beltran (35-8-1, 21 KOs), 37-years-old, is aiming to fight his way back to a world title. Beltran is due to make his comeback on February 10 when he fights unbeaten super lightweight Hiroki Okada in Fresno. Last February, Beltran finally won a world title when won a tough twelve round decision over Paulus Moses for the WBO lightweight title. But his world title reign was very brief. He was dropped and lost a twelve round decision to top contender Jose Pedraza of Puerto Rico in August. “I didn’t expect to lose the title that quick. It’s a lot of things that go through my head, you know, my mind. I was obviously very disappointed,” Beltran said to Boxing News. Beltran feels confident that a few more wins will bring him back to another world title fight. “It’s all about performance. While I keep performing well, I’ll get my other title shot, you know. That’s all,” he says with fervour. “I’m not done yet. I’m not satisfied. I keep pushing. I’ll become a champion again. I really believe that,” Beltran said. Linares Targets Mikey Garcia: I’m Ready For The Big Fights!